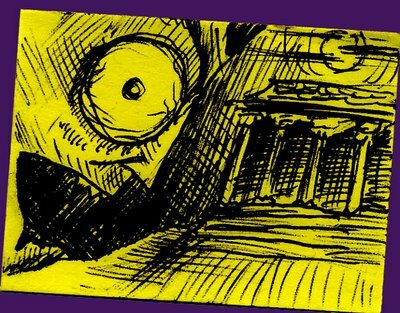 Tiny sticky-note style Dracula outside the mausoleum after a night out on the town. This entry was posted in dracula, halloween, stickynotes. Bookmark the permalink.